The Acropolis in Athens is not only one of the city’s most popular tourist attractions it is also one of the UNESCO World Heritage Sites in Greece. The site features a massive but perfectly balanced collection of architectural monuments that exist in harmony with the natural landscape. 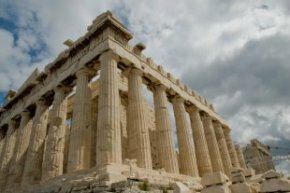 Acropolis was completed in the 5th century BC and has since influenced the way people look at architecture in the world. The ancient city of Aigai is one of the UNESCO World Heritage Sites in Greece; in fact, it was once the capital of the ancient Kingdom of Macedon. The monumental palace is the main attraction on this site because of the painted stuccoes and lavish mosaic decorations. However, there is also a burial ground near the area wherein the father of Alexander the Great was believed to be buried. 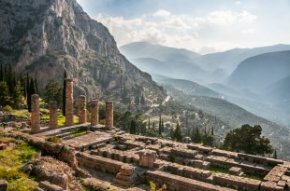 The pan-Hellenic Delphi served as the spiritual center of the ancient Greek world. This is also where the oracle of Apollo is located. Thus, it is an important site in Greek’s ancient history. It also served as a symbol of Greek unit from the 8th century BC moving forward. This medieval city, commonly referred to as “the Wonder of the Morea”, was a vital part of the final years of the Byzantine empire. It was built on a steep hill right at the foot of the Mount Taygetus. This was the last stronghold of the Byzantine empire to be defeated by the Ottomans. Olympia is located along the banks of Alpheios River, which was crucial because this is where the first ancient Olympic Games were held (in 776 BC). Aside from that, there are also numerous temples and sanctuaries in the city of Olympia. You will find several ruins of sporting structures and stadiums at the site as well. These two sites are among the most important cities in Mycenean, Greece. These cities reached their height in the 15th and 12th centuries BC. There are a few sites in the city that were recognized for their “example of human creative genius”, such as Lion’s Gate and Treasury of Atreus. According to the Greek mythology, this is the birthplace of Artemis and Apollo. It is therefore considered a sacred island in the pan-Hellenic world. 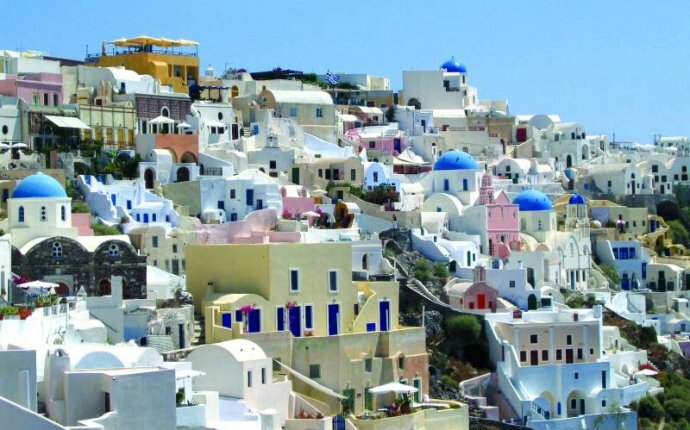 These sanctuaries have been attracting pilgrims from all over the world to Greece in the ancient times. In fact, it has turned into a prosperous trading port. It is believed that St. John the Theologian spent his time in the island of Patmos to write both the Gospel and his Apocalypse. Thus, in the late 10th century, a monastery was built to honor this beloved disciple. This monastery in Patmos has been a popular site among pilgrims and the center of Greek Orthodox learning. The monastic complex also dominates the island of Patmos. 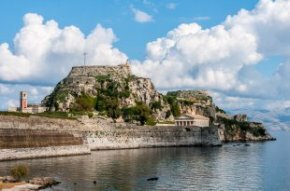 The ancient city of Rhodes was occupied by The Order of St. John of Jerusalem from the early 1300s to early 1500s. From there, the city was gained control by the Turkish and Italians. During this time, several notable structures were built at the Upper Town including the Palace of the Grand Masters, Street of the Knights, and Great Hospital. The Lower Town, on the other hand, feature more notable structures such as public baths and monasteries that had been around since the Ottoman period. 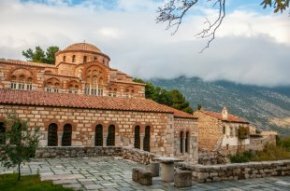 This site recognizes a collection of important and historical monasteries in various parts of Greece. In particular, there are three monasteries recognized into the UNESCO World Heritage Sites in Greece. Even though these monasteries are geographically distant from each other, they are part of the same typological series and feature the same aesthetics. They were also constructed from the 11th to 12th centuries, while showcasing the essence of what was considered the “second golden age of Byzantine art”.